The Alliance for Working Together Foundation (AWT) works to promote rewarding manufacturing careers for the longterm economic success of Northeast Ohio. This site is dedicated to our biggest program, RoboBots, which enables students to gain experience and understanding of manufacturing while having fun. Save this Lakeland Youtube link and tune in on April 27! The Alliance for Working Together Foundation (AWT) exists to promote rewarding careers in manufacturing. One of the ways we do that is by connecting students to manufacturers to build combat robots that fight in our annual RoboBots competition. Students begin building months in advance in order to get their bots battle-ready. 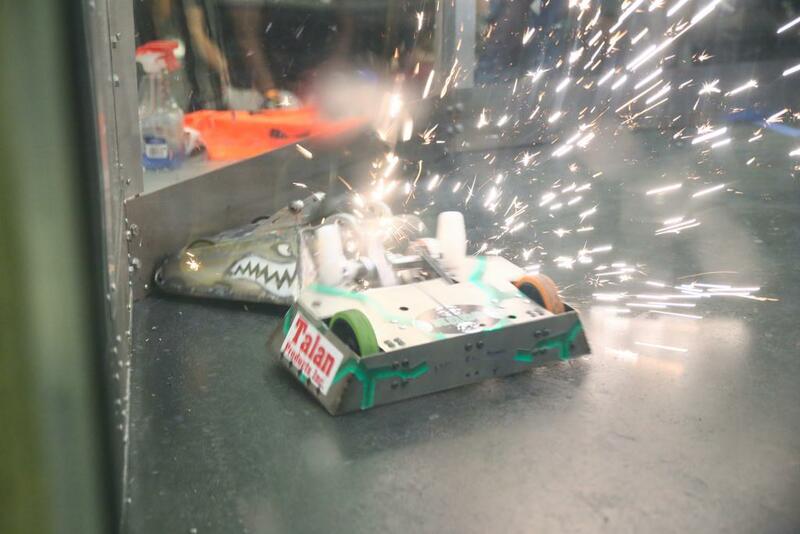 The last Saturday in April is always dedicated to the metal mayhem of teams from across Northeast Ohio, putting their builds to the test in our combat arena! For more info about our organization, check out www.thinkmfg.com - Think Manufacturing. Thank you to all our 2019 Sponsors! Special thanks to our Platinum, Gold, and Speciality Sponsors! If you or your company would like to support this event, click here for information!